Testing a mobile app is necessary, so that you don’t really launch an app filled with bugs to the store. It is mainly about giving your user the best possible experience. When you want to ensure your app gives out the experience demanded, you will need to make sure that the app is well tested. 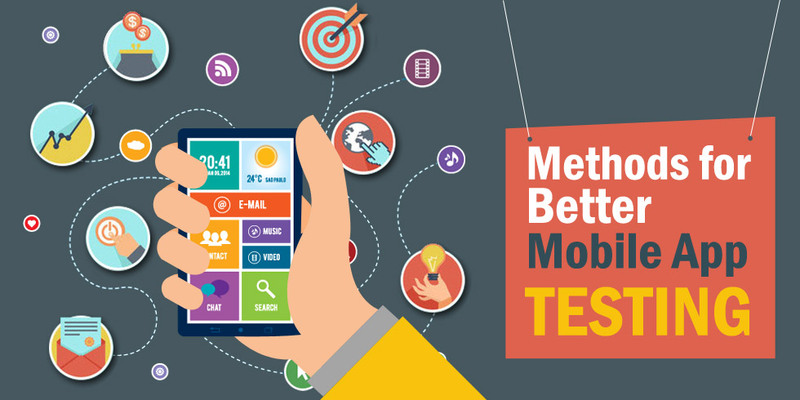 Unlike desktop app testing, mobile app testing is more complex and in-depth. The mobile screens are smaller in size, and possess comparatively less storage space. The tools for automation adopted in desktop app testing may or may not work in the same manner for mobile app testing. Another reason it is complicated process, is the number of devices involved in the process of testing. You need to test for compatibility with the devices as well as operating systems and other hardware configurations all at the same time. One test does not offer all the solutions for a mobile app. You will need to perform distinct tests to check for the different challenges, and finally resolve those errors or situations. Compatibility test, interface test, performance test, security and usability tests will be needed to check for all the possible errors, and finally resolve them. First you need to identify the target audience which will be using your app. Next, you need to identify the devices commonly used by this audience. Once, you have identified them you will need to run your tests on these devices. You may not have access to all the devices that you need to test the app. That does not mean you don’t test your app with the perfection, you are supposed to induce. You can always use an emulator to check whether your app confirms to the platform on which it is supposed to run. There are some emulators like iOS emulator, Android emulator, Windows Phone Emulator, Responsivepx, and Screenfly which help you test the apps in a better way. You don’t need a mobile device when you are testing the app on cloud. You can easily simulate the apps on multiple networks or systems using the internet. With cloud testing, data recovery and restoration becomes easy. You can easily access the data anytime anywhere. It becomes one of the most cost effective solution for you.